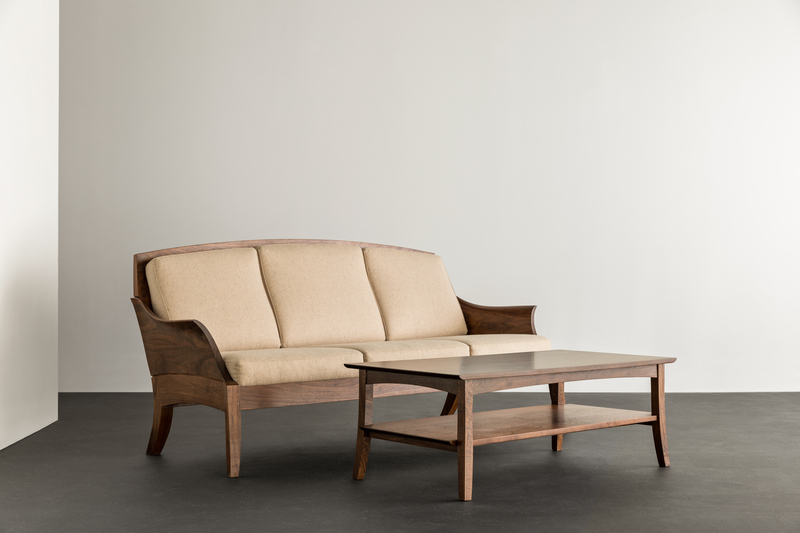 The Wing Coffee Table, part of our Wing Collection, employs the same sweeping legs that characterize its counterparts. Ideal for living spaces or conversational areas, the table has a simple notched shelf beneath the tabletop, providing space for reading material, a throw, or other mementos of everyday life. Made of solid wood, the graceful lines of the Wing Coffee Table tell a story of simple elegance. 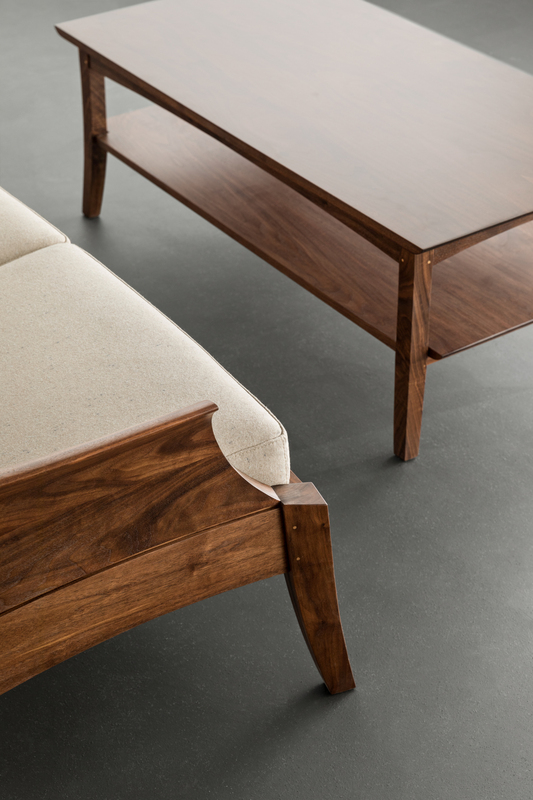 Finely crafted legs join and climb past its notched shelf, finally integrating with the curved skirt through the use of complex traditional joinery. The stable presence of the Wing Coffee Table is reinforced by its shelf – a simple grain-matched plane that’s notched at all four corners for subtle visual impact. Secured in a precise parallel to the shelf, the tabletop rests atop a structural skirt that shows a gentle concave curve, recessed for added effect.